Compact Personal Locator Beacon with 5 Year Battery! 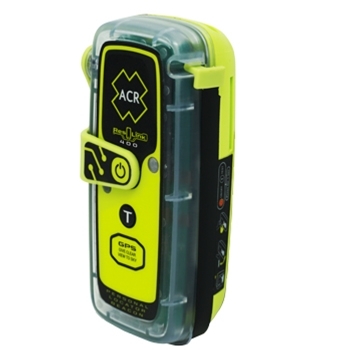 With the ACR ResQLink 400 you can feel at ease anywhere on the Globe, when on land or sea, knowing that if an Emergency arises help will find you. 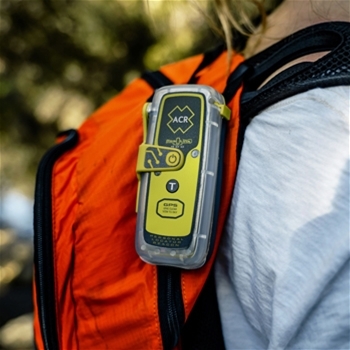 This small and rugged personal locator beacon (PLB) is designed to be carried by an individual so that in the event of an emergency, it can be manually activated sending an emergency signal so that search and rescue can locate you. ACR’s 400PLB now has a smaller overall size and even more rugged design and body than its predecessor in the 2880 series of PLB’s. There is no subscription required, so you won’t have to worry whether you have coverage or not before heading out on your adventure. The built in GPS and Galileo GNSS receiver provides your precise location anywhere in the world. In addition to that, 5 watts of power assures you will be sending a strong signal. An internal battery provides 24+ hours of operation, and has a 5 year Battery life. The 400PLB comes equipped with a belt clip so you can keep it attached to you at all times or connect it to an oral inflation tube. Built in LED strobe and infrared strobe helps Search and Rescue in low light or darkness. You can test the functions and verify proper operation routinely on your 400PLB with a simple touch of a button. The ACR PLB is not limited to extreme outdoor activities, we recommend it for everything from a leisure day hike, kayaking, even biking especially when venturing off alone. Built in buoyancy in case you drop it in the water. An easy deploy antenna and rugged design feels lightweight yet durable. 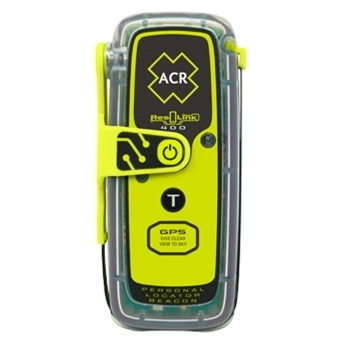 Based on such positive feedback from our own customers who have relied on ACR for real-life rescue emergencies, ACR is tried and trusted by many outdoor adventurists. The 400PLB is an affordable solution, with straightforward operation making the ACR ResQLink an important accessory to have with you as head out for any outdoor activity, putting your safety first.